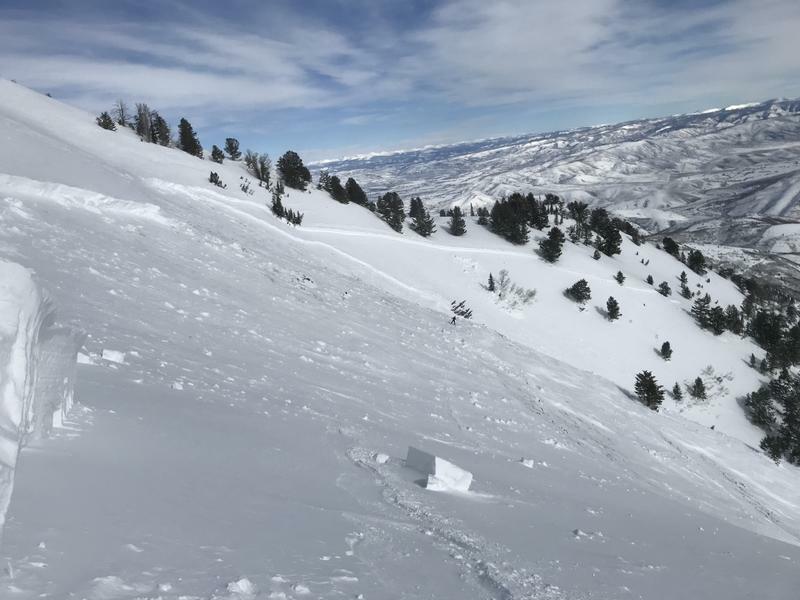 The snow pack in the southern Wasatch has been gradually strengthening as it has gained depth. This has allowed the facets at the bottom 40-60cm of the snow pack that were formed during the cold and dry December period to begin to round and bond slightly, however it has also allowed the snow pack to support a substantial load on top of it. The storm cycle from Feb 3-6 came in with a good SW flow which brought very high PI rates, rapid loading, lots of graupel, and very high sustained winds for the majority of the storm. The high sustained winds and large amount of graupel caused slopes further north and lower in elevation to load on Timp than would normally occur. The strengthening basal facets also allowed deep wide spread and well connected hard slabs to form above them. This set up an avalanche cycle that occurred on the 5th and 6th with some outliers on the 7th and 8th. The majority of the slabs that failed were well over 1000' - 2000' wide, and averaging 3-8' deep with some pushing 8'-12', and running several thousand feet. The most notable natural occurred in Primrose Cirque beginning on the Roberts Horn/Primrose ridge and continuing down the UFO Bowl/Primrose ridge line. This pencil hard slab failed on 4F hard 2mm facets 50cm above the ground. The crown was 4'-9' deep with the average depth being 6' deep. The crown was approx. 1.18 miles wide, and wrapped from a NE to E aspect all the way around to a SSW aspect (connecting through roughly 8 separate bowls/gullies and sub ridges) The crown began at 10300' and the toe ran to 6880' coming to within 250 yards of the Timp Trail Head parking lot. 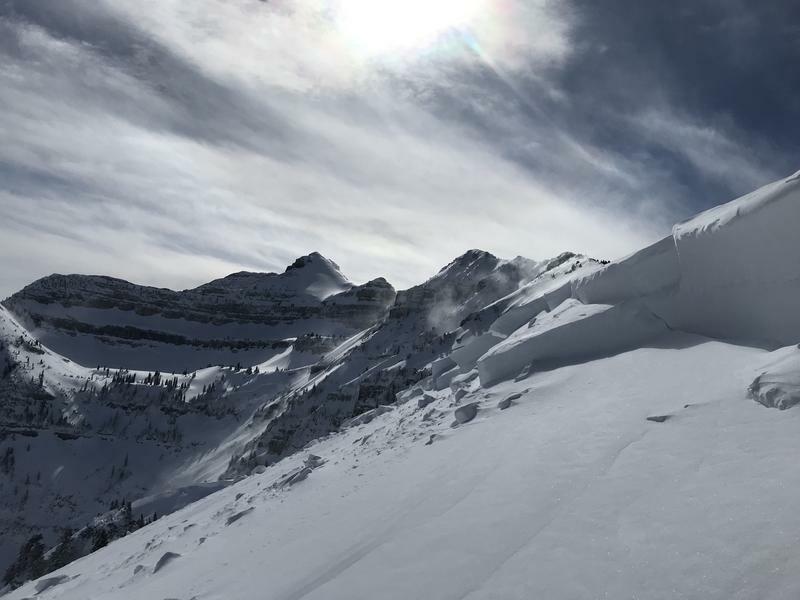 Other hard slab avalanches occurred in: Slide Canyon (artillery triggered), Chablis, Bearclaw, Provo Hole, Cascade Cirque north and south, Gunsight north and south, East chute of Elk Point, Spike Chute, Hidden Lake headwall, Emerald Lake headwall, Primrose headwall, Sunny Rose south and North, Timp Cirque, Bomber Bowl, Giants Staircase, Stairmaster Bowl, Stairmaster Chute, Pika Cirque, The grunge and apron below. Moderate to strong winds were transporting snow above 9000' on Timp yesterday, as well as this morning. 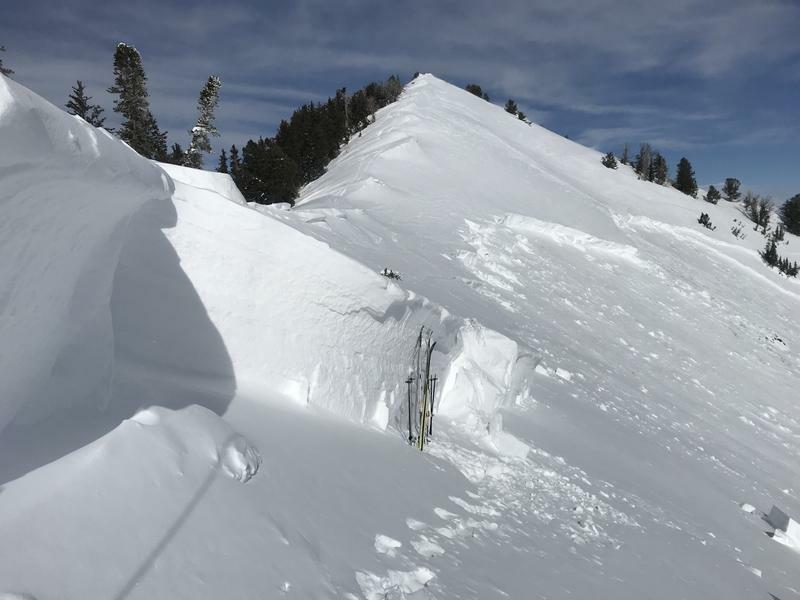 The snow pack has had a few days to adjust to the last storm, however there are lots of slopes with a similar setup to the ones that already failed in the previous avalanche cycle that will begin to hit their breaking point over the next week with the forecasted winds and snow amounts. Cascade and Provo Peak area is similar in snow pack and depth to Timp.